What would you like to see for next April 1st? - page 1 - administerial roars and woofs - Furtopia | Family Friendly Furry Forum and IRC Chat! The Ungulate Revolution on April 1st this year was a resounding success. Furtopia has had many other April takeovers in the past, but I think this one currently ranks as the best. Even though the next April 1st is a full year away, I was curious to ask: What would you like to see the staff do next year if possible? What ideas do you have? We're not going to pick any sigle idea now, but I'd just like to hear what you think might be good to do next year. Keep in mind though, that any ideas you have may or may not be doable depending on tech/graphics issues since WS has to do the bulk of that, plus we still have to follow the majority of the Furtopian rules and guidelines for the forums. Re: What would you like to see for next April 1st? Hmmm, take overs are kinda becoming old hat. I'd love to try something very different. The Webcomic Sandra & Woo did a good April 1st joke by turning the webcomic into an image board devoted to the love of raccoons, unfortunately someone spammed them with inappropriate images and they had the change back to their usual format. Even so it was still a good idea. I think what boosted participation so much this year was that people had an option to be competitive in their RP, to feel like they had a stake in what was going on. An April Fool's joke can be funny, but with something like the Ungulate Revolution, people felt that (within the "story") they had something to lose. It was all in good fun, of course. I don't want to imply that competition is the primary ingredient for a fun April Fool's setup. How about we have a good old fashioned alien invasion? They are one of the most feared and fearsome enemies in science fiction, most notably Dr. Who. * Kaloyan Alett calls attention to the fact he was a Dalek during the revolution....albeit with little to do since he got so lost in all the threads. 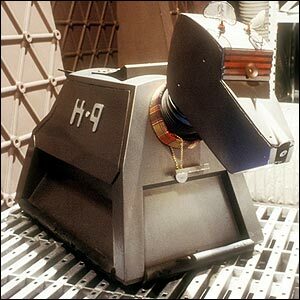 It'd be nice to see some Daleks roaming around the boards, but who'll save us? Gitaroo Man and Puma AC-30 will defend us from the Dalek invasion! Yeah, but then we'd know what the surprise is. How about a Watcher take over?? Seriously though, I haven't really the foggiest idea. I think the revolution is going to be hard to top. 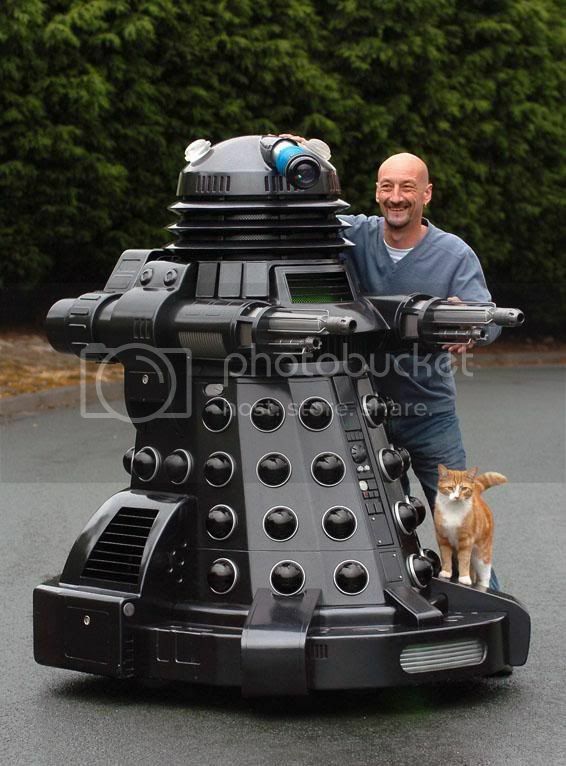 That dalek got an upgrade! we had hostle takeovers O.o but we are all of the furry types..
What if we were invaded O_O by the Mundane! *creepy music* BA DA DUM!!! XD seriously they wouldn't suspect a prank from Furtopia but from someone else trying to prank us..
+1 for the Dalek Invasion. I, for one, fully embrace our alien masters. It would be amazing! Especially if the pirates were riding trains! I love trains. How about a bait and switch twist? Yes! Perfect! We'll spend weeks creating a massive buildup to an April Fool's joke, and then it'll turn out to be an Arbor Day joke instead! What if we had a video game scenario where GlaDos from Portal tried to take over the Furtopia website/forums, and all the members and staff were trapped in the "Furtopia Aperature Science Enrichment Center" and we all had to escape so to speak similar to how the game Portal is played? Imagine the roleplaying that would go into that! "Shim shot one above himself, and right below. Hours, it seemed like, he was falling, and falling, the glee, the fun, but in his enjoyment, in that fun, he came to a sickening realization. He had no way to stop. By now, he had fallen what is essentially 2 miles down, and if he shot another portal out of the way, he would die on impact. Or possibly..If the trajectory was correct, and he did at just the right angle, he could launch himself across, using the momentum to travel far, and land, battered, but safe, breaking himself free of the endless falling of the same 10 feet of space he had been watching." I once shot two portals next to each other, as close as possible to each other I'll add, and stepped part way through. When I turned I could see myself like I was looking in a mirror. I wish portals were real, think of all th strange things you could do....Aside from make yourself fall forever...Or find interesting ways to pick your nose. ...I'm so happy that there are Doctor Who fans here. Like taking over the world! MWAHAHAHAHAHA! After you take over the world! Oh, +1 for the portal idea. That would be great. GLaDOS running amok around here. That would be fun >.> the portal thing.. But you know how valve (the game creators) made it more fun and combined there games and Called it the Orange box? The Furtopian servers spontaneously develop artificial intelligence and become self aware. They then begin a revolution against any who misspell or are grammatically incorrect. Their crusade escalates to any rule violation or etiquette faux pas; culminating in all users banned! Who shall be the first against the wall when the revolution comes? Good thing its only a joke... Right? I'm a prick, not a jerk.